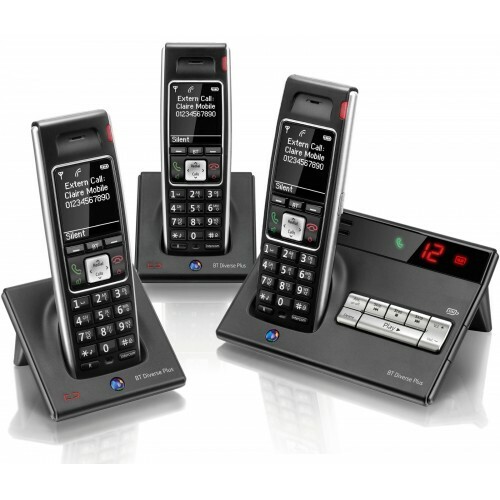 This attractive new model from BT is an impressive blend of style and features; boasting an integrated digital answer machine and sim card reader on the base, and three sleek black handsets with impressive LCD displays. The Diverser 7450+ offers convenience and style for your landline phones and would be well-suited to both home and office environments. 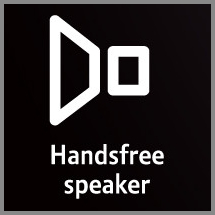 The Diverse 7450+ is a phone that you can rely on for quality, therefore you can expect to enjoy calls in exceptional clarity even when using the loudspeaker on one of the handsets for the convenience of handsfree. The dependable range of up to 50 metres indoors (300m outdoors) provides ample coverage for most homes or offices; and with a talktime of up to 10 hours (standby for up to 120 hours) on a single charge, you can be confident that the handsets will be ready whenever and wherever you need them. 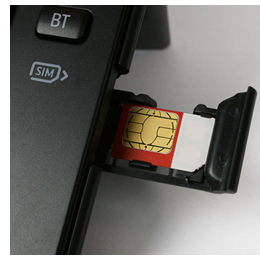 The functional base incorporates (in addition to an answer machine with a 27 minute recording capacity) a Sim card reader & writer, which allows you to easily transfer phonebook contacts both to and from the BT Diverse 7450+. The phonebook has a memory for up to 200 name and numbers, and the handsets are all Caller ID enabled so will display details of incoming callers on the brilliantly clear high-contrast display. Advantages of using multiple handsets means that you can easily transfer calls from one handset to another; and each handset also has a dedicated intercom key for placing internal calls.